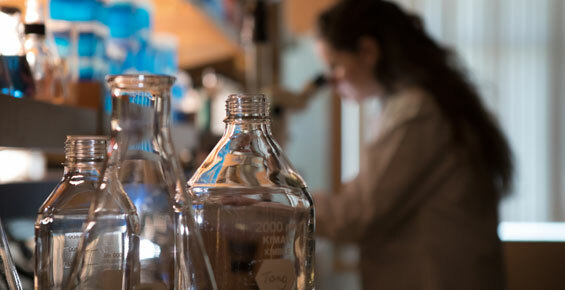 UChicago Medicine is designated as a Comprehensive Cancer Center by the National Cancer Institute, the most prestigious recognition possible for a cancer institution. We have more than 200 physicians and scientists dedicated to defeating the disease. Why does an NCI designation matter? Former long-time smoker Marilyn Nesby,72, was at high risk for developing lung cancer. Fortunately, a screening test called a low-dose CT scan detected cancer at an early stage, before it had spread. Gregory Karczmar's life's work has been to improve screening for detecting cancer early. And then a screening test saved his own life. The University of Chicago Medicine has been re-certified by the QOPI® Certification Program as part of ASCO’s Quality Oncology Practice Initiative. This provides a three-year certification for outpatient hematology-oncology practices that meet nationally recognized standards for quality cancer care. A UChicago team demonstrates, in mice, that they can boost the tumor control rate from around 40 percent up to nearly 100 percent by opening up a parallel pathway. Eating healthy is challenging. Add to that a cancer diagnosis it can become exceptionally difficult to eat right – or even at all. The incidence of head and neck cancers caused by a human papillomavirus infection has increased dramatically. In the 1980s, fewer than 20 percent of cancers that affect the tonsils and the base of the tongue were attributed to HPV. Now, more than 70 percent of these cancers involve HPV and incidence rates continue to rise. Many factors can increase a person's risk of developing cancer. 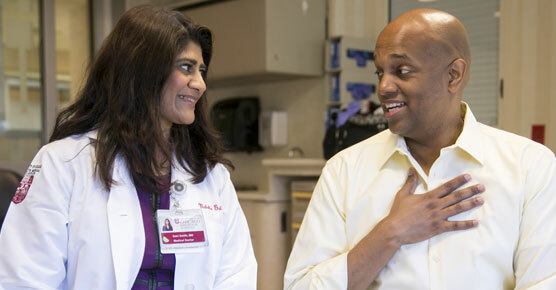 At the University of Chicago Medicine, the Comprehensive Cancer Risk and Prevention Clinic is dedicated to identifying and caring for individuals who have an increased risk of cancer due to family history, or medical and genetic factors. Cancers of the digestive system usually develop by chance or are related to a risk factor such as smoking or obesity. But in some cases, it runs in families and the risk of getting cancer is passed down from generation to generation. Ralph Weichselbaum was given the highest honor bestowed by the American Society for Radiation Oncology (ASTRO) for “revered members who have made outstanding contributions” to the field of radiation oncology. Please complete this secure form to request an appointment with a UChicago Medicine cancer expert. A representative will contact you within one to two business days to help you schedule the appointment. To refer a patient for cancer care, please call UCM Physician Connect at 1-800-824-2282.